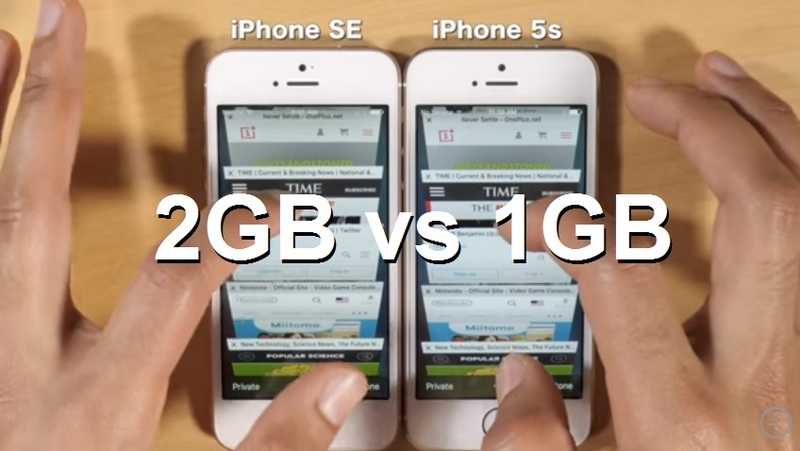 The iPhones have always used less RAM than Android smartphones, but the latest iPhone SE comes with 2GB of RAM, twice the amount the iPhone 5S. So... what does it translate to in real world use? Apple can cut back on the amount of RAM in their devices because it can tune the software and hardware to work in perfect harmony. Even so, there are things where nothing can substitute having more RAM, such as when you're browsing dozens of web pages, and that's one place where the iPhone SE 2GB can shine over the 1GB in the older iPhone 5S. Though we can consider the iPhone 5S to do an amazing job considering it's about 2.5 years old now and only has 1GB of RAM; the tricks Apple uses to save memory quickly become visible. Although you can still have dozens of "open tabs" in Safari, the 5S has discarded most of them, forcing a page reload when you get back to it.